This may just look like a boat ramp… but to those who use it… it is a gateway to paradise. 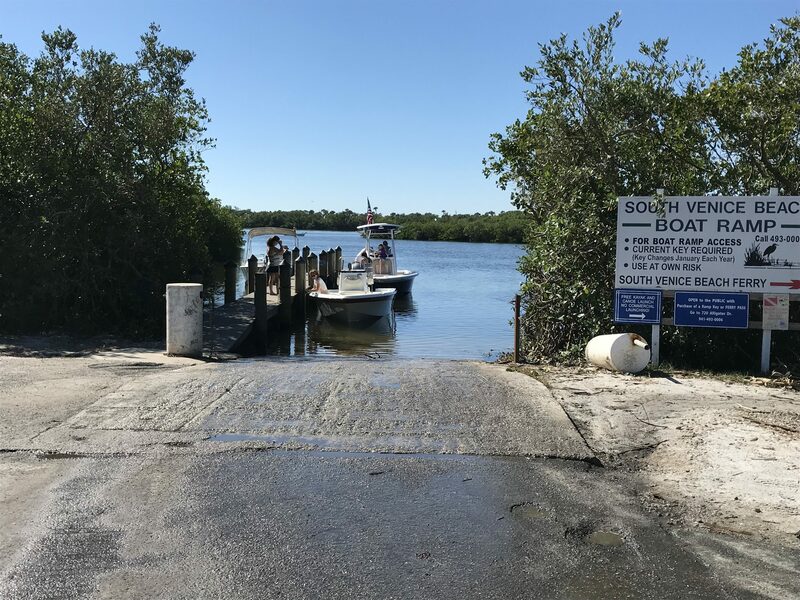 You can purchase a boat ramp key at our office, located at 720 Alligator Dr., Venice, FL 34293 on Tuesday’s, Thursday’s or Saturday’s from 9:00 am to 1:00 om. Going out for a nice quiet ride? 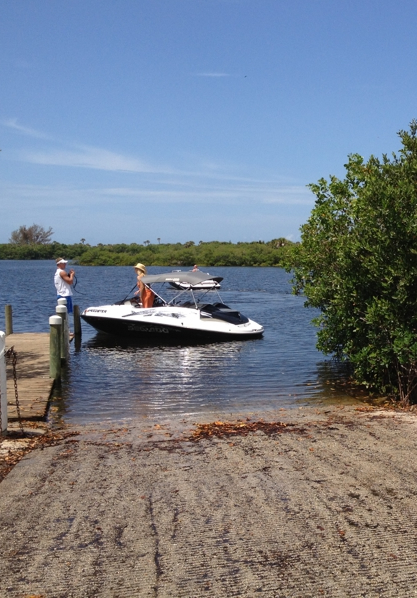 Enjoy this Boat Ramp at any time you feel the need for a great day on the water. 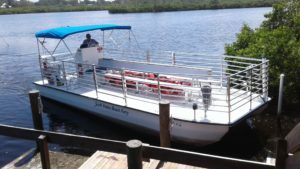 Feel free to explore our wonderful intracoastal waterway and the Gulf of Mexico at your leisure. You may launch your boat from the ramp and leave your car and trailer in the parking area nearby during daylight hours. A current Ramp Key will open the chain. Regulations apply and may be picked up at the office when you purchase your yearly Ramp Key. Please be sure to park in the designated area. If friends join you at the boat ramp, please have them park closer to the ferry, in order to leave room for boat trailer parking. Remember that keeping the area clean and free of any rubbish is your responsibility. If you bring food supplies or cans with you, take them with you when you leave. Trash cans cannot be maintained at the site. As a reminder: We ask that you lock the gate when you are coming in or going out. This is to keep the ones who have not paid from using your dock that you have paid for. Please do not launch kayaks or canoes in this area. We ask that you use the kayak/canoe launch area, located near the ferry. Enjoy world-class tarpon fishing off the beach in the Gulf, back-water flats fishing, snorkeling, shelling, island/sand-bar hopping, skiing, picnicking and the list goes on . . . only limited by your imagination! All of this is just a moment from your front door! Paradise awaits.